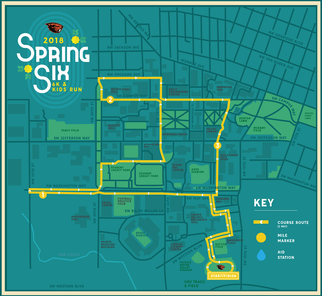 Some races are fun to do just to earn an instant PR due to an ‘odd’ distance, so for many of us that don’t have a 6 kilometer best, the HOTV Spring 6 in Corvallis on April 27th is the place to be. With a course that explores the OSU campus while starting and finishing on the Whyte track, it will definitely be a unique experience. Adding to the fun will be 100, 200, and 400 meter races for kids 14 years of age and younger. To round out the experience, the long jump and high jump areas will be open for use. Registration is currently open, with the 6K entry at $15 until April 19th and $20 from then until the 24th. Day of event registration is $25. Race shirts are included in the fees while supplies last. 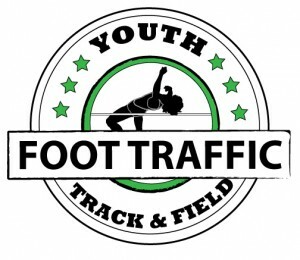 Registration for the kids distances on the track is just $2. 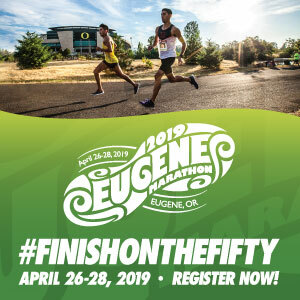 The proceeds go to community causes, as intended by the host group, Heart of The Valley Runners, which is partnering with the Oregon State Track and Field program for this event. HOTV and Willamette Valley Road Runners get a $5 discount if they register before the 24th. It is also possible to receive a $5 discount per entry by registering 5 people simultaneously to create a team. This event looks like a great, low-cost event to bring the family to. With a ‘quick’ race for the adults and activities for the little ones, it is a good way to experience the sport before viewing the athletes at the Hi-Performance Track Meet later in the day. As always, it is great to see an event put on by runners with the proceeds going back to the community.